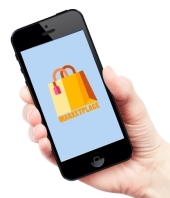 Logicspice offers best customized multi vendor marketplace software, ecommerce platform software, b2b marketplace software according to your business.Our Marketplace custom solution will facilitate the shoppers to buy various products online from the website. Customers will have an option to search different products by selecting the relevant categories and sub categories. They can also search by entering the appropriate keyword. If you are looking for a multi vendor shopping cart solution,Look no more. Logicspice is your right choice to provide best markrtplace software. More products by Logicspice Consultancy Pvt. Ltd.
View All products (4) by Logicspice Consultancy Pvt. Ltd.